Barazzetti, L., Brovelli, M., Scaioni, M., 2008: Generation of true-orthophotos with LiDAR dense digital surface models, The Photogrammetric Journal of Finland 21(1), p. 26-34. Brown, J., 2003:Aspects on true-orthophoto production. In Proceedings of the Phot. Week’03.Wichmann, Stuttgart, Germany 2003, p.205-214. Dequal, S., Lingua, A., 2004: True orthophoto of the whole town of Turin, International Archives of Photogrammetry, Remote Sensing and Spatial Information Sciences 34(5/C15), p. 263-268. 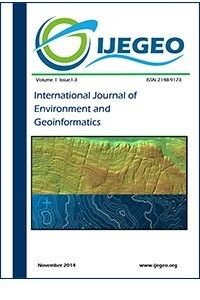 Erenoglu R. C., Akcay O., Erenoglu O., 2015: Estimating of landslide by repeated GPS/GNSS measurements in the Ambaroba Region, Canakkale, NW Turkey. In Proceedings of the International Symposium on Modern Technologies, Education and Professional Practice in Geodesy and Related Fields, Sofia, Bulgaria 2015. Erenoglu, R. C., Akcay, O., Erenoglu, O., Uluocak, E. S., Karaca, Z., 2014: UAV based monitoring of Adatepe Landslide, Canakkale, NW Turkey. In Proceedings of the FIG Congress 2014, Engaging the Challenges, Enhancing the Relevance, Kuala Lumpur, Malaysia 2014. Ilgar, A., Sezen Demirci, E., Duru, M., Pehlivan, Ş., Dönmez, M., Akçay, A. E., 2008. 1/100000 ölçekli Türkiye Jeoloji Haritaları, Çanakkale H15 ve H16 Paftaları. MTA, No:100Garwood, N. C. et al., 1979: Earthquake-caused landslides: a major disturbance in tropical forests, Science 205, p. 997–999. Greiwe, A., Gehrke, R., 2013: Foveon Chip oder Bayer Pattern - geeignete Sensoren zur Aerophotogrammetriemit AUS. In: Photogrammetrie, Laserscanning, Optische 3D-Messtechnik -Beiträge der Oldenburger 3D-Tage 2013 (Luhmann,T., Müller, C., ed. ), p. 334-343. Gruen, A., Huang,X., Qin,R., Du,T.,Fang,W.,Boavida,J., Oliveira, A., 2013: Joint processing Generating a Digital Elevation Model using Unmanned Aerial System... Seite 61 of UAV imagery and terrestrial mobile mapping system data for very high resolution city modeling, ISPRS-International Archives of the Photogrammetry, Remote Sensing and Spatial Information Sciences 1(2), p. 175-182. Restrepo, C. et al., 2009:Landslidingandits multi-scaleinfluences on mountainscapes, BioScience 59,p. 685-698. Shortis, M., Harvey, E. S., Abdo, D., 2009: A review of underwaterstereo-image measurement for marine biology and ecology applications, Oceanogr Mar Biol AnnuRev 47,p. 257-292. Sidle, R. C.,Ochiai, H., 2013:Landslides: processes, prediction, andlanduse, Water Resources Monograph 18. Washington, DC: American Geophysical Union. Singh, R., Qureshi, Q., Sankar, K., Krausman, P. R., Goyal, S. P., 2013: Use of camera traps to determine dispersal of tigers in semi-arid landscape, western India, J Arid Environ 98, p.105-108. Webster, R., Oliver, M. A., 1990: Statistical methods in soil and land resources survey, Oxford University Press.